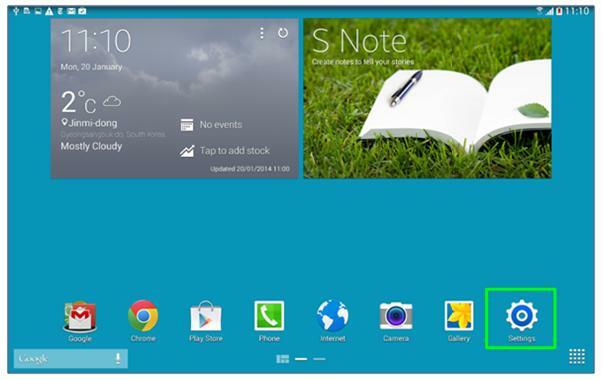 What is the Network Booster feature and how do I set it up on my Samsung Galaxy NotePRO? Using Network booster feature of Galaxy NotePRO you can download large files faster. The feature download large files faster by using your Wi-Fi and mobile network data connection at the same time. Note: this may result in additional charges according to your payment plan. 2 Tap Connections then tap Network booster and drag the activation switch to the right. This icon will be shown on the notification panel when network booster is being used. When the Network booster is enabled you can set the minimum file size for downloading using network booster. 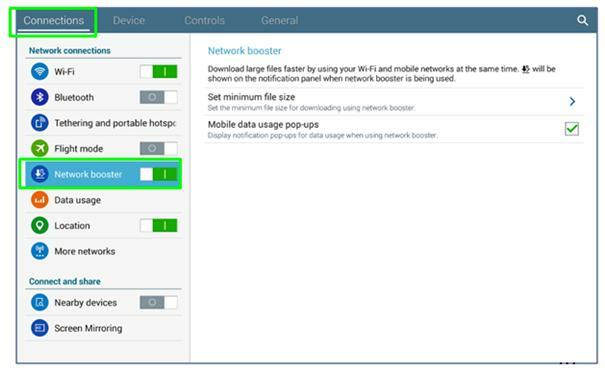 You can also select whether to display notification pop-ups for data usage or not when using network booster.